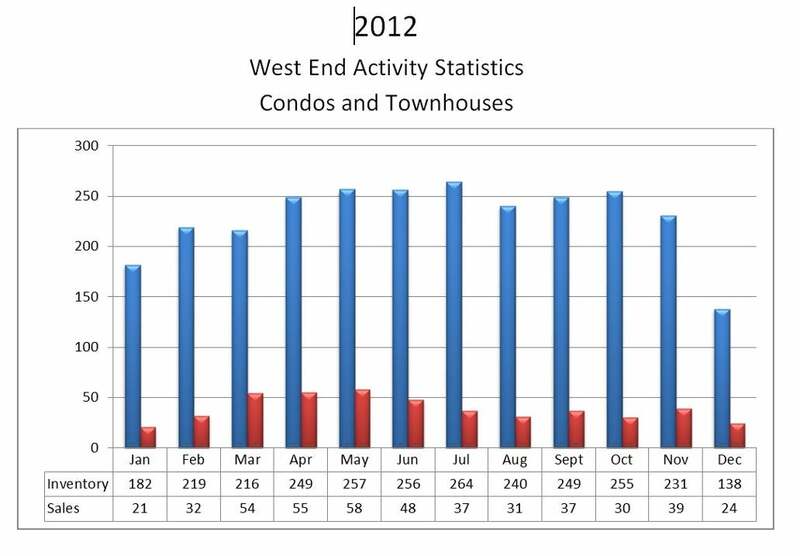 In 2012, the West End condo and townhouse market finished at 466 sales with an average sale to inventory ratio of 16.91%. Even though this ratio was below 2010 and 2011 average, it still stayed in the balanced market range of 14.0-21.0%. The least active month of the year was January with 21 sales and the most active was May with 58 sales reported. All rights reserved. No part of this publication may be reproduced , copied, or posted on the internet without written permission of Kevin Ershad Personal Real Estate Corporation. The dynamic data contained in this report has been drawn from sources deemed to be reliable at that time, but the accuracy and completeness of this information is not guaranteed and Kevin Ershad Personal Real Estate Corporation does not assume any responsibility or liability.